Starred Review! 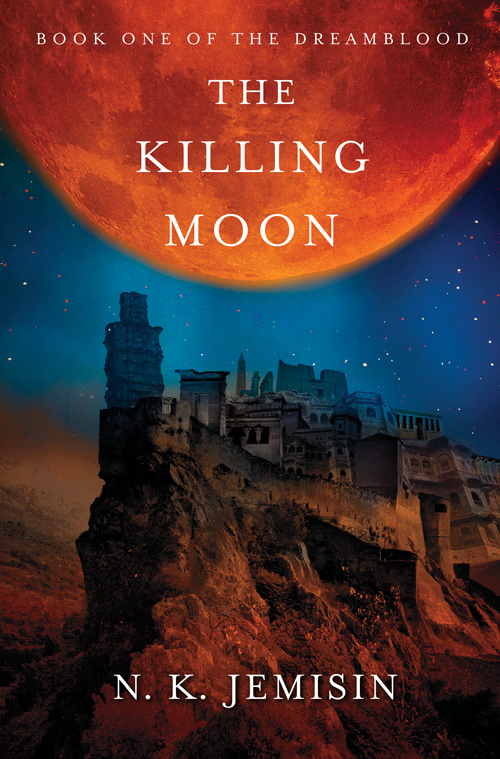 The second book of the Dreamblood series is even better than the first, with two utterly compelling primary characters and a strong supporting cast. Starred Review! This story, set in a world inspired by Africa and the Middle East, shines for its remarkable characters and graceful prose. Jemisin’s fans and readers who enjoy China Miéville, Daniel Abraham, and Mike Resnick will embrace her attention to detail and the love of storytelling that infuses this novel. Starred Review! Jemisin’s gripping series launch immerses readers in an unfamiliar but enthralling world as well as a rousing political and supernatural adventure. … Rather than merely appropriating various details from Earth’s past and present, Jemisin (the Inheritance Trilogy) has created a fully developed secondary world that is an organic whole. Jemisin’s patient world-building and extraordinary attention to detail help frame and propel the complex plot, and she weaves subtle, emotionally complex relationships between the main characters.